Please click on your local region listed below for contact details, monthly activities/meetings, meeting venues and other information. 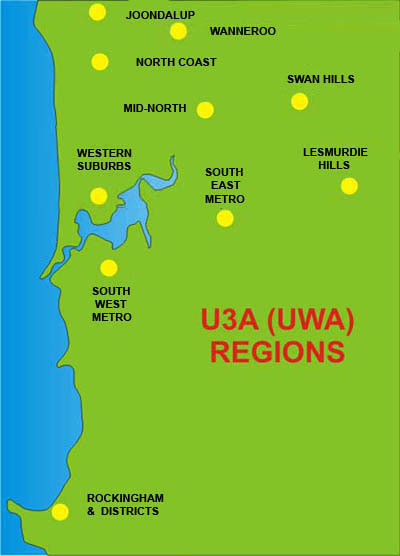 Subject to places being available, a U3A (UWA) member may attend a course offered in any region. The courses offered at the State Library are reserved for U3A financial members and bookings on the appropriate date (February or July) are essential.